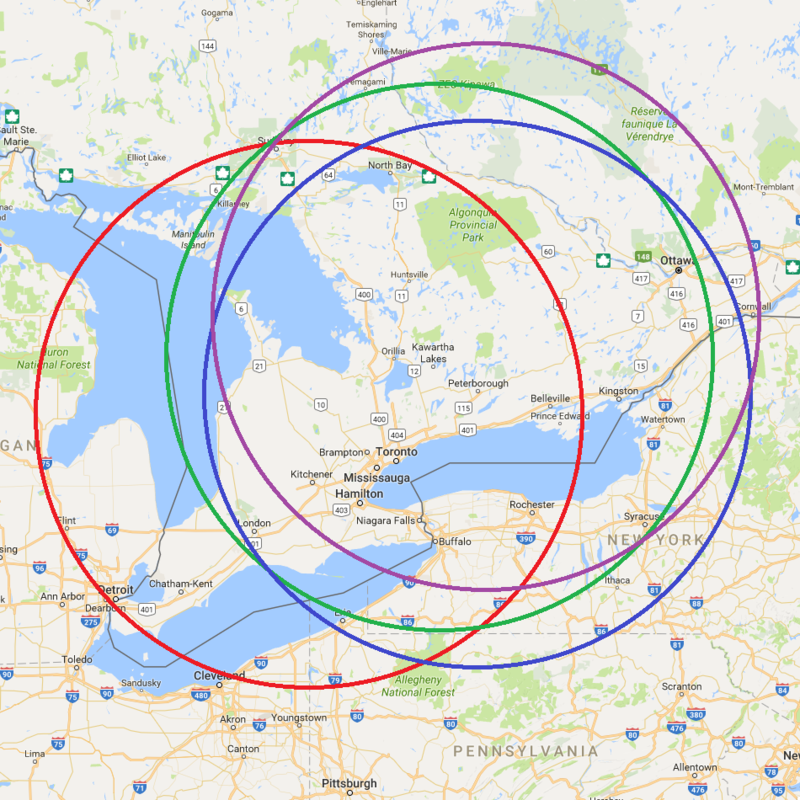 In the map, the red circle (centred on EN93rx) will be used for VHF contests, and the green (FN04on), blue (FN04te) and purple (FN04vw) circles will be used in HF contests (e.g. green for Sweepstakes and RTTY Roundup, purple for ARRL DX CW, blue for other HF contests). Some state QSO parties use the ARRL circle rules but without submitted lists of eligible members; the green circle is used for these contests. Contest Club Ontario (CCO) is Ontario's entry into International Club competitions in the 21st Century, providing one vehicle to highlight Canadian participation in these contests. 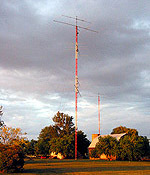 It brings together the talents of a large number of Amateur Radio contest operators in Ontario who may now focus on a common goal, in addition to traditional individual competition. Formed in July 2002 with only 16 members it had grown to 35 members by the end of August of that year. In 2017 CCO membership broke the 300 mark and counted over 200 active contesters in its twentieth year. CCO participates in over two dozen events during the year, some involving two or three contests. 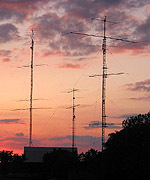 Most use HF CW and phone but RTTY and VHF are also featured in many events. Member scores are collected by the Secretary and submitted for Club Competition, putting Ontario contesters head-to-head with other such clubs in Canada, the United States, and worldwide.